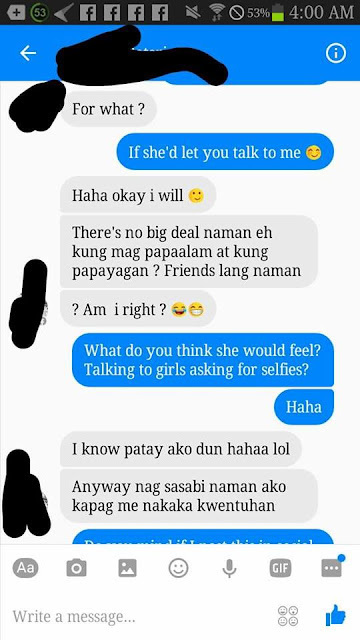 Home / Controversial / News / Viral / A Guy in a Relationship Tried to Flirt This Girl but What the Girl Did Is so Savage! 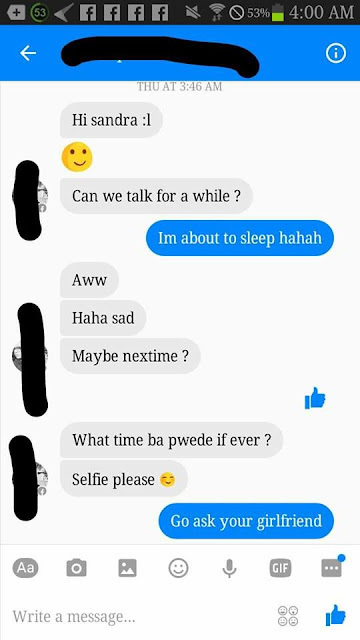 A Guy in a Relationship Tried to Flirt This Girl but What the Girl Did Is so Savage! It really looks like the internet has a steady supply of cheating stories waiting to go viral. 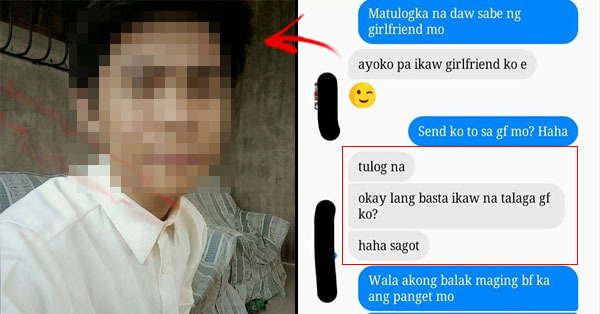 Over the past few years, netizens have probably seen thousands of cheating stories online. These stories range from the infuriating to the ridiculous. For our latest update in cheating stories, we bring you a cheating story that leans toward the lighter side. No intense verbal exchanges or public shaming for now. Actually, it's not even a cheating story exactly. 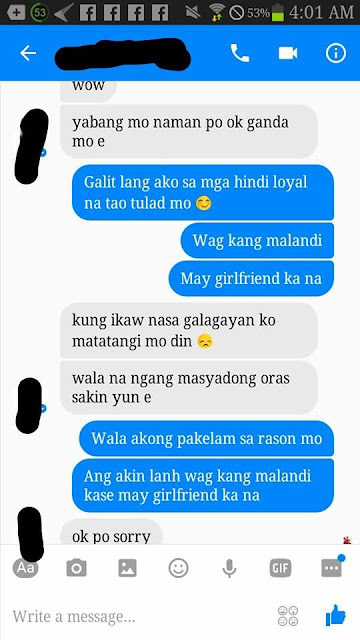 It's really more of a story/post about a guy who attempted to cheat but failed. We're talking about a recent post by the popular Facebook page, Random Stuff. According to the page administrator/s, the post was submitted by a Facebook User who goes by the name Sandra Sumiyoshi. As of this writing, the post has garnered about 8,300 reactions. The posts consist of a series of screenshots taken by the Facebook user. It shows one guy's attempt to hit on her. Unfortunately for the guy (who remains unidentified), Sandra was aware that he had a girlfriend before the conversation started. 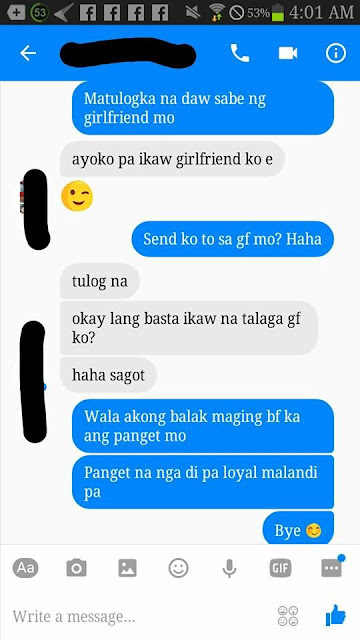 Netizens have gone crazy over the line,"pangit na nga di pa loyal malandi pa". So maybe it was more of a FAILED cheating story, huh? What do you think about what you just read? Start a discussion in the comments section!